2014 is the year of the farmer here at US Wellness Meats. Throughout the year we will be sharing stories on our different farmers along with plenty of farm photos, to give you a better idea of where exactly your food is coming from. Feel free to leave any questions or comments in the comment section – we always appreciate your feedback and our farmers love to know you enjoy their products! 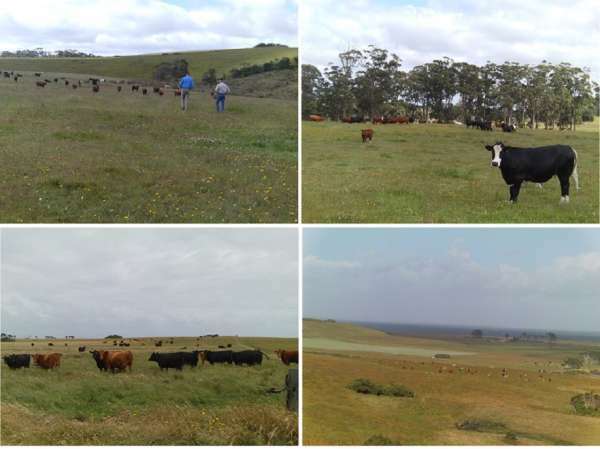 Our first feature farmer is our favorite farmer down under – John Bruce, from picturesque Stanley, Tasmania. John Bruce first met John Wood, one of our founders, back in the 90’s. They stayed in touch and when we began running low on flank and hanger steaks, John Bruce came to the rescue. 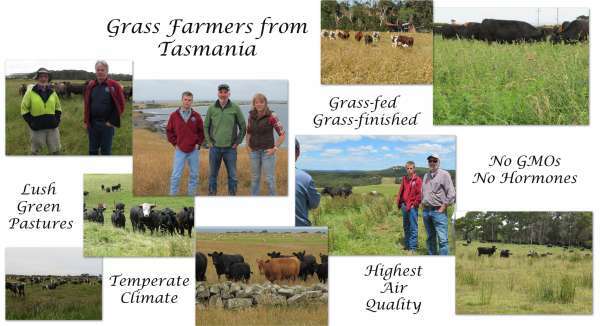 Tasmania is a utopia for grass-fed beef production, mainly because of their temperate climate, which lends to excellent pastures year round. There are certain beef cuts that the animal only has so many of – such as flanks, skirts and hangers, and our domestic supply often can’t keep up with demand. This is where John Bruce helps us out. 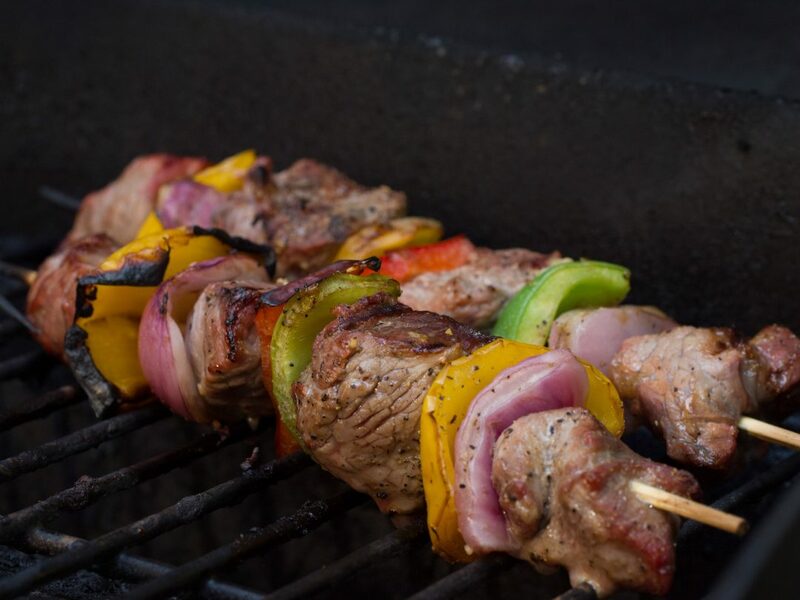 When we purchase grass-fed primals from John, they are sent via ship, and are actually going through the aging process while in transit, and are processed at the same Midwest facility as our domestic product. The Bruce family warmly welcomes our US Wellness team whenever we are able to go visit, which is at least once a year over the last several years. Two of our founding members, Jim Crum and Kenneth Suter, just returned from a trip down under this month. They got the full farm tour and a dose of southern hospitality from John and his family, and luckily came back with plenty of pictures to share. John Bruce & family produce such high-quality protein, that we are unable to tell any difference at all between this beef and our domestic beef. Everything they produce is 100% grass-fed and grass-finished, they do not feed any antibiotics or hormones, and they are not using any fertilizer, pesticides or herbicides on their pastures. During our 2013 trip to Tasmania, we got the full tour of their harvesting facility – which is top notch, immaculately clean, and methodically organized. We were very impressed. We also got to take part in a carcass competition, and were very impressed with the level of marbling in their grass-fed cuts. Our Tasmanian inventory is always changing. Our domestic product makes up the vast majority of our beef cuts, and we supplement with the Tasmanian product when we are running low in certain areas. We have no plans of ever outsourcing our beef production completely. Stay tuned to future feature farmer posts for tours of many of our domestic beef farms here in the Midwest. For more information on our Tasmanian production, see the Tasmania! blog post, read the Tasmanian newspaper story, and be sure to watch the Tasmania Utopia video for an intimate farm tour and the Journey to Tasmania for a unique glimpse of this natural environment.